Mark Jefferies has been the British National Aerobatic champion at all levels over nearly three decades and a British Aerobatic team member 10 times. Mark started flying air displays in 1984 and has flown shows in numerous aircraft around Europe and has flown by invitation in Australia, New Zealand, Romania, Slovenia, Germany, Holland, Turkey, Switzerland, France, Spain, South Africa, Ireland, Iceland, China, Korea, Scotland, Wales, Bahrain, Dubai, UAE, and Malta. 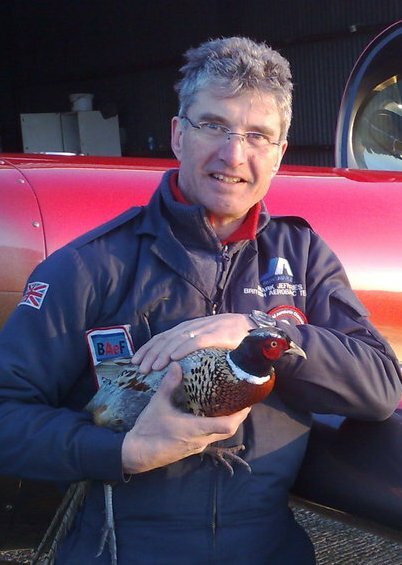 Mark has flown previously at the Farnborough Air Show in 2009 and was invited back again to fly in the July 2012 show. 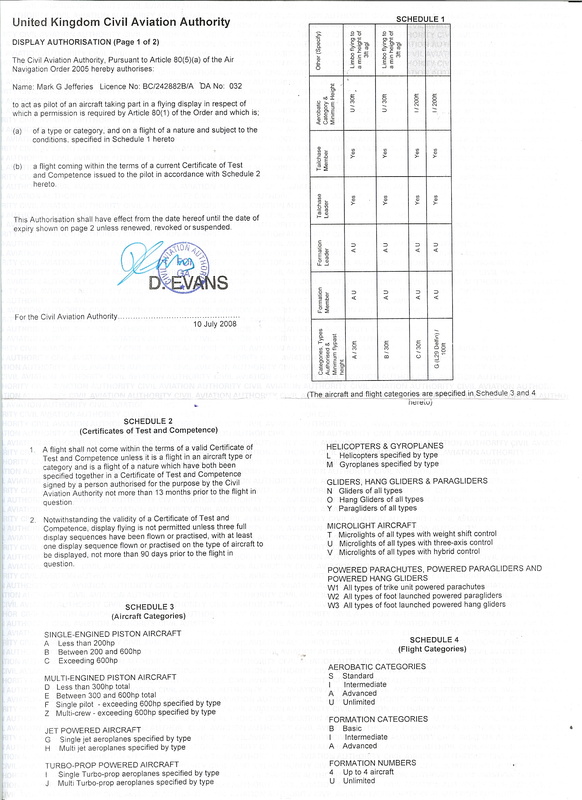 He holds a BCPL with a Display Authorisation issued by the CAA. Formation qualified as leader of large formations flying with the Aerostars for 4 years in number 2, 4, 6 & 7 positions, he has also flown as a stunt pilot for films, as well as participating in the Aero-GP contests. Mark took up aerobatics flying immediately after he got his PPL in December 1980. His first contest was in 1984; in 1985 he entered 6 contests which saw 5 wins, including the UK Nationals in a 1936 designed Bucker Jungmann that Mark rebuilt from a pile of parts obtained from the Spanish Airforce. In a quest for performance and the ability to enter at the higher levels, he built a Laser 200 which enabled a win in the Unlimited Class at the UK Aerobatic Nationals in 1994. He is the only person in UK aerobatics to have built and flown his own aircraft to the ultimate goal, winning the national title in the Advanced and Unlimited classes. He has been national UK Aerobatic champion at all levels on 10 occasions. Flying his homebuilt Laser 200 he became the British Unlimited Champion in 1994, retiring, and then coming back to aerobatics in 1998. Mark won the Advanced National Champion crown for five straight years from 1998 to 2002. Mark won a bronze medal and a podium appearance for his 3rd place in the Advanced World Aerobatics Championships held in Slovenia in August 2002. He flies many types of aircraft, notably from the Russian YAK series and the German Extra series. Mark returned to Unlimited aerobatics after purchasing the EXTRA 300s in 2003 winning the UK National championships in 2005, 2006 and 2007. In 2007 Mark flew to 9th place in the World Aerobatic championships in Granada, Spain, in the Extra 300s. Mark flies air shows on most weekends throughout the summer in a selection of aircraft, namely the Extra 330SC, YAK 11, L-29 jet & YAK 50. 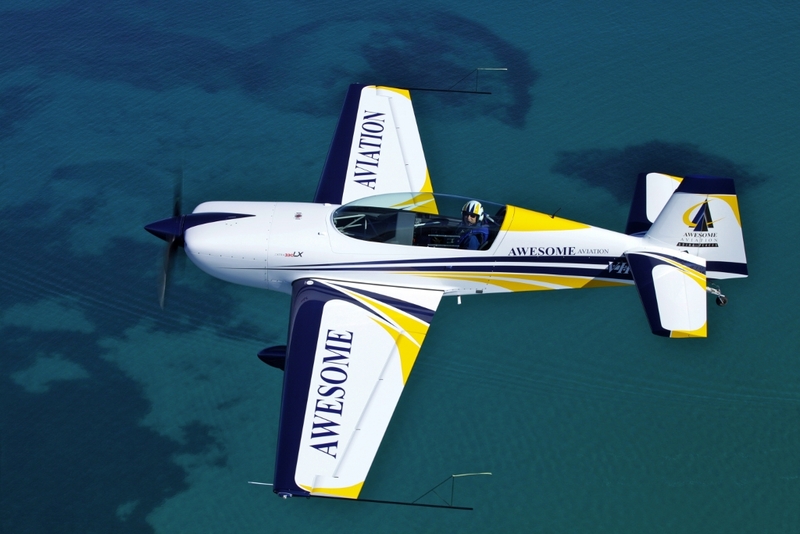 In February 2013, Mark will be flying the Awesome Extra 330LX at the Avalon airshow, sponsored by Awesome Aviation. Awesome Aviation sponsors the high performance Awesome Extra 330LX, promoting Awesome Aviation’s leasing products to the aviation industry. The Awesome Extra 330LX, VH-IXN, is the first of its type in Australia. 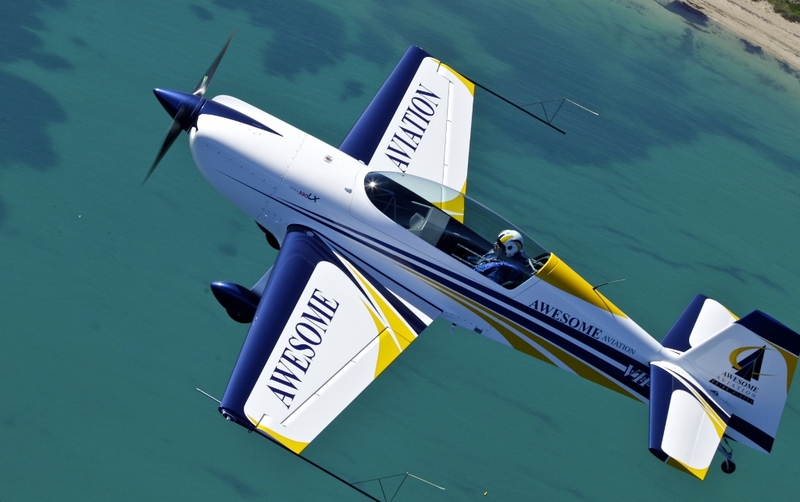 It is a two-seat, tandem arrangement, low-wing aerobatic monoplane offering exceptional aerobatic performance. Powered by the Lycoming AEIO-580-B1A, 315 hp, 6 cylinder engine in front of a Titanium firewall, the aircraft comprises a carbon fiber wing assembly, carbon composite empennage structure and a fuselage assembly constructed of 1.7734 steel with carbon pushrods. The aircraft has a certified load factor of +/- 10G. As the world’s most successful certified sport, performance and unlimited category aerobatic aircraft, Extra Aerobatic aircraft have been dominating the international aerobatic arena for over 2 decades and the 330LX is the latest offering from this renowned German aircraft manufacturer. Awesome Aviation supplies Beechcraft 1900 Airliners, Beechcraft King Airs and special missions jets on dry lease within Australia, the Middle-East and Africa. Clients include Regional Airlines and Operators involved with Charter, Humanitarian Aid, Special Missions, Air Ambulance, Government and FIFO markets. Awesome Aviation has offices at Perth Airport, WA and Lanseria Airport, SA. The company was founded by CEO Dieter Ebeling in 1989. 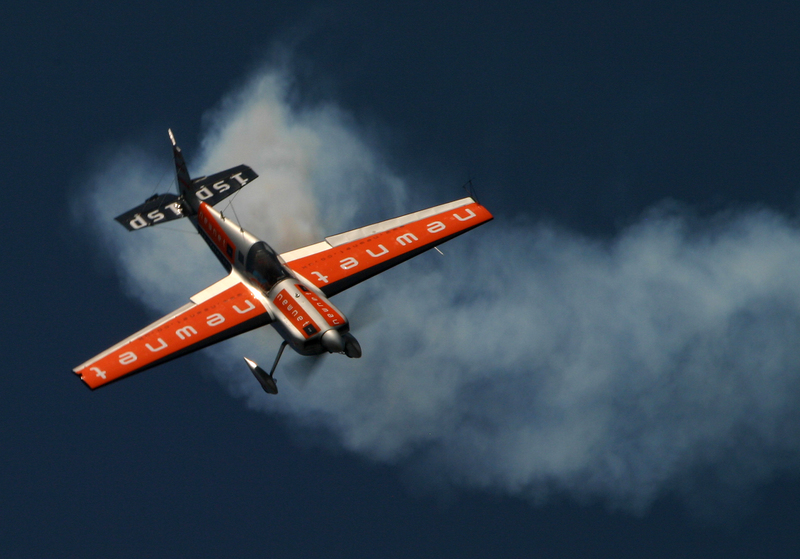 Dieter is a past Unlimited Class National Aerobatic Champion and World Championship competitor. Dieter’s passion for aviation, and in particular for Awesome Aviation, injects a vibrant energy into the company.